Click here to visit my Amazon Books Page! 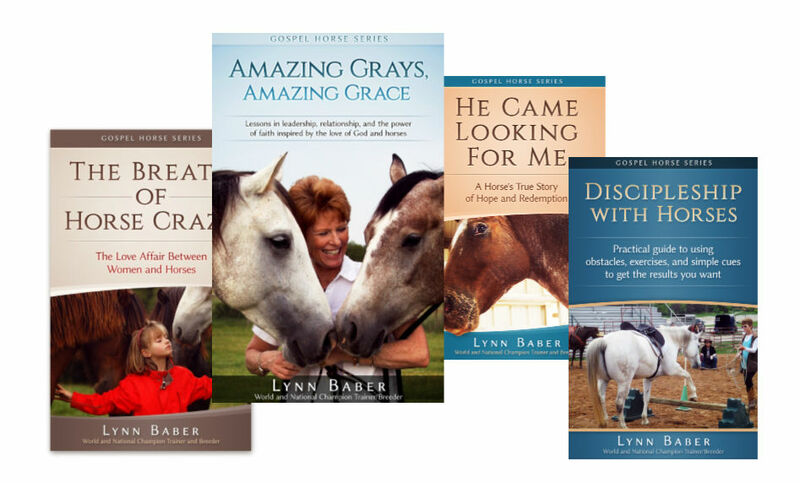 The Gospel Horse Series of books – click image above for info. Glorify God while embracing your experience, purpose, and wrinkles! Like you, I wake up each morning hoping to make God smile. That’s my goal, but I’m not as consistent as I’d like to be. The best way to describe this blessed and sometimes frustrating circumstance is – life. God has a purpose for you today just as He has for me. My failures are usually connected to complexity, confusion, or lack of awareness. Then there’s the flip side, wondering why I didn’t do or say something I realized later I should. Another day, another dose of grace, glory, and humility. Most current voices and authorities lead you away from the simple love of Christ and the leisure of walking beside Him. God is good – all the time. He isn’t intolerant, mean, or wishy-washy. He is God! And He does not pile on. He lightens burdens, speaking into our need. God holds us, shakes us, teaches us, and sends us. Simplicity is the stuff of faith in Jesus Christ. Simple light-hearted faith. Like horses, God isn’t as concerned with what you do as why you do it. God cares about who you are in relationship to Him – not the details of your service. God is good and anyone who says He isn’t needs to be wished “Good day” before you shake their dust off your heels, boots, or flip flops and move on. What do horses have to do with God, success, and relationship? Most of my housemates are half-ton hairy equine children who need attention, instruction, exercise, reassurance, challenge, and leadership. Did I mention how much they seek attention? Think toddlers on steroids. BIG toddlers. Unless you have one in the barn, horses are metaphor. They’re as simple and silly as three year old children but wise as Yoda. My husband nicknamed me the analogy queen because I have an illustration (analogy?) for everything. The book of Ecclesiastes is analogy. Or is it metaphor? Do you confuse illustration, metaphor, analogy, and allegory? I do. But let’s not sweat the small stuff. Analogy helps us grasp concepts without challenging our egos. Even capable, committed, Christians of a “certain age” get off track, unsure of what decision to make or unable to identify what’s out of balance. Whether it’s family, health, or disconnect from what the world lifts up as fabulous – sometimes we need a reality check. God provides the Word and faithful friends to provide objectivity and truth. Encourage them. Embrace them. Return the favor. Like you, I begin my day with the Lord. Getting connected and refilling my tank for the day ahead. Telling Him my wins, losses, and revelations. Thanking Him for overflowing blessings. Listening for guidance, support, or instruction. Some days I just fall into His arms and revel in His quiet presence. Joy happens when every part of life is connected and rests on the same unshakable foundation – Jesus Christ. Every disconnect or division is disturbing and damages your ability to achieve goals, luxuriate in daily peace, and enjoy the blessings of life with Christ. God cares about relationship. Especially the one He has with you. Looking for community? Great! You’re in the right place. Consider joining me on Facebook! Aside from size, what’s the biggest difference between horses and people? Horses don’t lie to themselves or anyone else. They’re far more honest than we, but they also – Love. Mourn. Scheme. Frustrate. Delight. Pout. Rebel. Negotiate. Delight. Give up. Seek connection. And fear. Fear is a biggie, if not the biggest biggie, for people and horses.